“Wolf threaded his arms behind her waist. His golden brown eyelashes framed a wild sparkle in his eyes, and Melody couldn’t believe she’d put it there. Every thought in her rational mind told her to end the date now before it got complicated, but the passionate feelings radiating from her wild heart planted her firmly in place. A book about a flutist…in an orchestra…giving up on dating musicians…but being sucked into a relationship anyway…. Sounds way to familiar to me (i.e. me = flutist [in high school, not professionally], dating musicians only to have a bad relationship, then ending up finding the love of my life by way of the lead trumpet player…and married him). How could I possibly pass this up?? So, the book was very nostalgic for me. Like any group, be it band or orchestra of a sports team – whatever, whenever that group spends enough time together, it becomes a very central focus in your life, almost like a secondary family. This is the way it felt when I started reading Playing the Maestro. I will say, the book was very cute and fun to read. I enjoyed the characters, and the ambiance of the book – the feeling of familiarity I felt while reading it. I liked the music innuendos, that was fun however probably a bit overdone. It was obvious that author Aubrie Dionne is a musician herself, or once was one, or just simply did her research. Everything about the orchestra itself, from the drama within the group itself, to the unfortunate lack of funding, and the passion of the members for their group and community – every bit of this part of the story rang true to me. The malicious Blake was maybe a little bit too obvious in his intentions, and immature to the extent of almost being unbelievable. Who hides music? I also did not feel the “justified vindication” I would have wanted to feel for any creep trying to ruin things for everyone. I was never really sure of his intentions outside of getting his sister to play in the orchestra. Why was he working so hard to ruin the orchestra? What did he want to DO with the changes he was trying to force to happen? It just wasn’t all that clear. And this, I feel, was the downside of Playing the Maestro, while it was a fun, quick read with a whole lot of potential, I feel like we scraped along the edges of the story. The love story between Melody (is it bad I just realized the irony of her name) and Wolf was a bit passionless, though not without trying. It was just too rushed, from the instant attraction and subsequent denial of feelings to the first and only date and then on to the drama that happens afterwards – there was no real foundation for a relationship, or true feelings – which made the big “I love you’s” a bit less impacting. I found Playing the Maestro an entertaining read, and with maybe a few more words and a little bit more depth to the stories, I feel like we can expect to read something great from Aubrie Dionne in the future. Aubrie wrote in her junior high yearbook that she wanted to be “A concert flutist” when she grew up. When she made that happen, she decided one career was not enough and embarked as a fantasy, sci fi author. Two careers seems to keep her busy. For now. 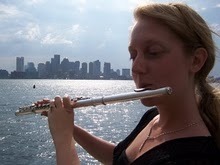 Aubrie Dionne is an author and flutist in New England. Her writings have appeared in Mindflights, Niteblade, Silver Blade, Emerald Tales, Hazard Cat, Moon Drenched Fables, A Fly in Amber, and Aurora Wolf. 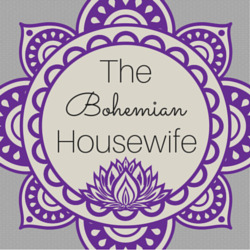 Her books are published by Entangled Publishing, Lyrical Press, and Gypsy Shadow Publishing. She recently signed her YA sci fi novel with Inkspell Publishing titled: Colonization: Paradise Reclaimed, which will release in October 2012. When she’s not writing, Aubrie teaches flute and plays in orchestras. She’s a big Star Trek TNG fan, as well as Star Wars and Serenity.